This listing is for 1 printed, premium white ceramic mug that can hold 11 ounce. 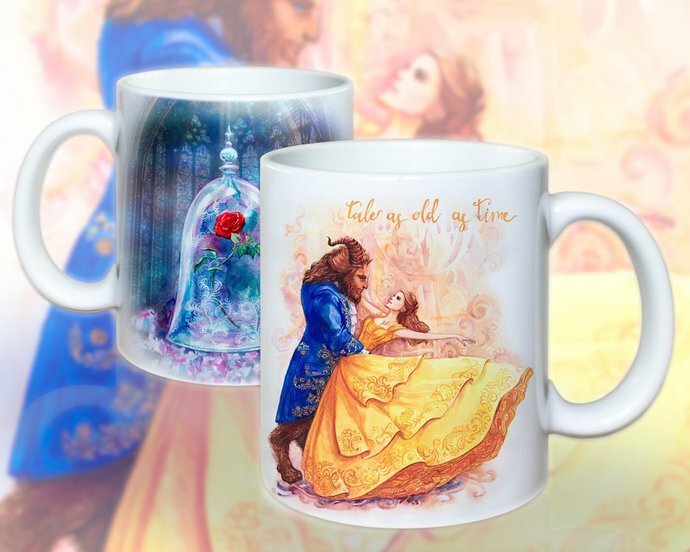 On one side of the mug is the enchanted rose, and Belle and the Beast dancing on the other side of the mug. Made with care for quality and details. Perfect for gifts! I fond of drawing and I feel happy when my drawings turn into beautiful products! It is breathtakingly when a white mug before your eyes gets personality, becomes bright and unique. I use a sublimation process for print the artwork on the product. This print is colorful and intense - it's not vinyl stickers, it do not peel or fade. Dishwasher and microwave safe! Please note that each item is hand-printed - pictures location is chosen optimally for each size and can little differ from each other. If you want to request custom order, please contact me. If you want more quantity, other sizes and models, please contact me. Please ask your questions before you make the order. I appreciate your recognition, because it helps me develop my business. If your parcel came in time and you love my product, I will be very happy if you find time for five stars feedback. I value your feedback, so I can serve you better. My goal is to make sure you are a happy customer. 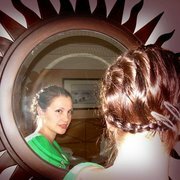 Please give me the opportunity to resolve any problem by contacting me before leaving any negative feedback.